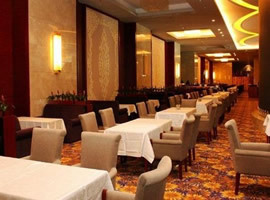 It is a comprehensive entertainment place integrating bath, sauna, beauty salon, leisure, entertainment, and health. 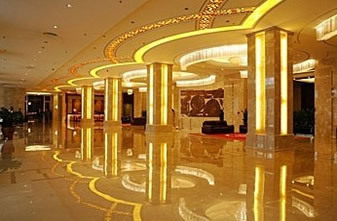 Introduced with latest Korean tourmaline sweat steam physical therapy, together with professional massage techniques and unique style of decoration, elegant environment, you will enjoy the latest Gluttony grand banquet for your vision and senses in the hotel; it is an ideal health place for you. 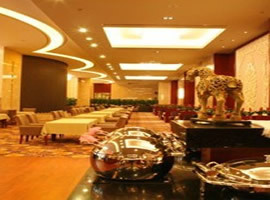 With health service concept, star- quality service and comfortable leisure environment,we are looking forward to your visit. 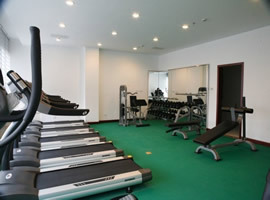 Recreation Center mainly offering the services of Table Tennis,Billiards Fitting room and Mahjong Room etc. Also beauty and hair dressing salon to be at your service. 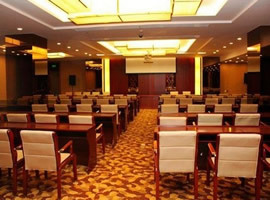 Various types of large and small meeting rooms of Inner Mongolia Mansion can accommodate 20-230 people; of which, the multi-functional conference room is equipped with advanced audio-visual equipments, which can meet the demands of various meetings, business negotiation, product demonstration, press releases and other various important business activities.